Battery-carmaker is 1st from U.S. to raise prices as trade war escalates. Tesla's new Shanghai plant is expected to be at least as large as its factory in Fremont, California - and include battery production, as well. Pres. Donald Trump’s trade war has claimed its first automotive victim, Tesla announcing it will raise prices on some models on sale in China by $20,000 or more to reflect the impact of new tariffs on American-made vehicles. At the same time, CEO Elon Musk is on his way to China, numerous reports indicating Tesla is set to lock down a deal with authorities in Shanghai to set up the company’s first foreign assembly plant. Musk confirmed construction will begin in about three months and the facility will produce 500,000 vehicles annually once it is ramped up to full production. Despite the news about tariffs – which could depress sales in the world’s largest battery-car market in the near-term – investors appear to be buoyed by reports that Tesla will move forward on a Chinese assembly plant. 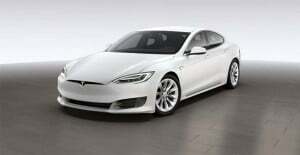 Musk has also indicated that the automaker is working on plans to set up a second foreign plant somewhere in Europe. It is unclear if Tesla CEO Musk has already arrived in China, several news reports conflicting on the timetable for his travel, but Reuters has reported that the automaker’s representatives on Tuesday signed an agreement with officials from that country’s largest city to move ahead on the new plant. It is expected to be located in Pudon, the same region of Shanghai where numerous other automakers, including General Motors, have already established a massive automotive manufacturing center. Tesla CEO Musk is heading to China. Details, including the cost for the new plans, as well as the timetable for putting it into operation, have not yet been released. But Tesla clearly has reason to move as quickly as possible. The carmaker has struggled to gain ground in China, despite that country’s push to electrify its automotive market. And it is expected to face even more difficulties now, as a result of the Trump trade war. China and the U.S. have each imposed new levies on $34 billion worth of goods, American-made autos one of the key targets for the Chinese. Tesla has become the first U.S. automaker to announce it will raise prices on vehicles sold in that booming market by 20 percent – which would translate into an increase of $20,000 or more on high-line products like the Models S and X. How much that will impact the carmaker’s sales is uncertain, though China accounted for 17% of Tesla’s revenue last year. But word that the company will move ahead with a Chinese plant obviating, or at least minimizing, any trade war impact, appears to be buoying nervous investors. Tesla could use the Shanghai plant now considering it has to raise prices on American-made products like this Model S by as much as $20,000 due to new tariffs. The big question is how soon such a factory could get up-and-running. It typically takes close to two years to launch a new assembly line at a greenfield site. That could take even longer considering Tesla is expected to aim for annual production capacity of 500,000 vehicles, or roughly twice what the typical automotive plant puts out. 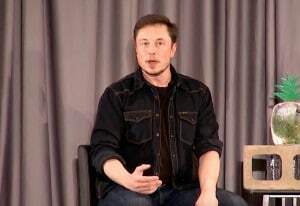 Further complicating matters, when Tesla CEO Musk strongly hinted at plans for a Chinese plant during a May conference call he indicated the factory would integrate a version of the company’s Gigafactory battery plant. That would, in itself, be a tremendous undertaking. Roughly three years after Tesla and battery partner Panasonic began setting up the current Gigafactory in Reno, Nevada it is still not fully up to capacity. 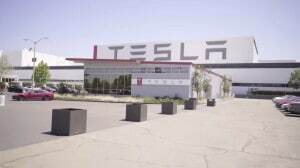 Snags at that Reno plant, in fact, have contributed to the slower-than-planned ramp-up of Model 3 sedan production at Tesla’s Fremont, California assembly plant. Musk has suggested that a lot of what Tesla has learned about manufacturing will go into the new China plant, helping speed up future production. Tesla is expected to continue expanding its manufacturing base, and Musk, in May, also indicated he hoped to have news about a European factory before the end of this year. This entry was posted on Tuesday, July 10th, 2018 at and is filed under Automakers, Automobiles, Business, China, EVs, Electrified Vehicles, Executives, Financials, Fuel Economy, Investors, Luxury Vehicles, Markets, Personalities, Sales, Sales, Technology, Tesla, Trade, Trends. You can follow any responses to this entry through the RSS 2.0 feed. Both comments and pings are currently closed.